Welcome to Gran Paradiso. Our talented chef has created a menu that is both traditional and inventive. Our dishes are prepared using only fresh ingredients. Nothing is pre-cooked and everything is cooked to order. We welcome you and your family to join us for lunch or dinner. Our spacious dining room is perfect for enjoying a cocktail, appetizer or dinner. Take-out is also available. Call in advance and everything will be ready when you arrive. We are also the perfect setting for your party or gathering. We are often asked for the name of our chef. We are happy that Benny Collado is our executive chef and we appreciate all the accolades. Benny works very hard to make sure that your dining experience is exceptional and memorable. Our General Manager, Bernardo Collado will warmly welcome you – whether you have dined with us many times or if this is your first time joining us. We are a casually sophisticated Italian restaurant serving traditional and inventive Italian Cuisine. 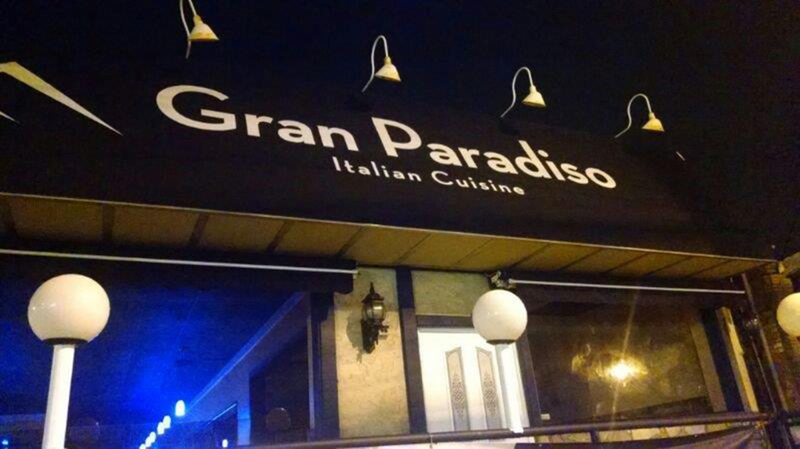 Thank you for making Gran Paradiso a dining destination for you.